It's a complete cake-over! 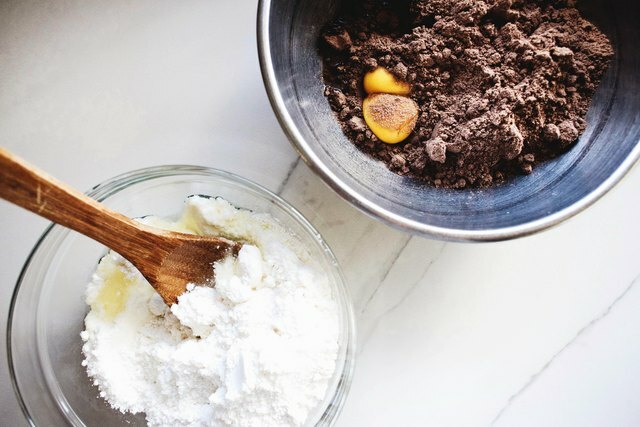 You can easily customize store-bought cake mix to make it taste even more delicious and homemade by following these little tricks, tips and swaps! You can improve the taste of the cake mix by flavoring the cake batter differently. Add 1 teaspoon of the following flavors: Choose from vanilla bean extract, almond extract, ground cinnamon, rosewater essence, coconut extract or grated lemon zest. 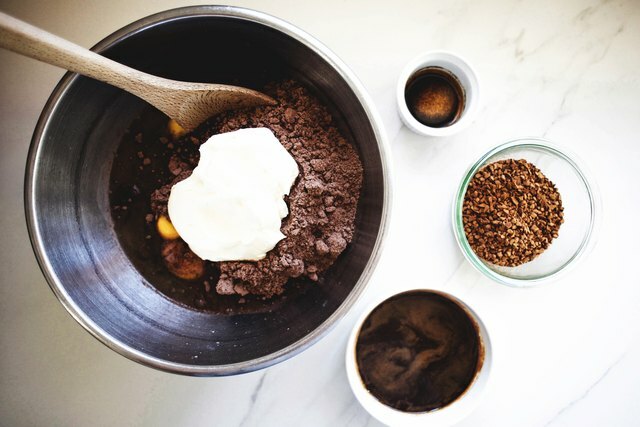 Add 1 teaspoon of the following flavors: Choose from vanilla bean extract, brewed instant espresso, peppermint extract, almond extract or coffee-flavored liqueur. Give the cake mix delicious texture with extra additions. Add in a ¾ cup of the following: Choose from funfetti sprinkles, frozen berries, toasted nuts, peanut butter chips or chocolate chunks. Most store-bought cake mixes call for water to be used in the batter. You can make the cake more moist and flavorsome by using the same amount of either milk, sour cream or créme frâiche instead of water. 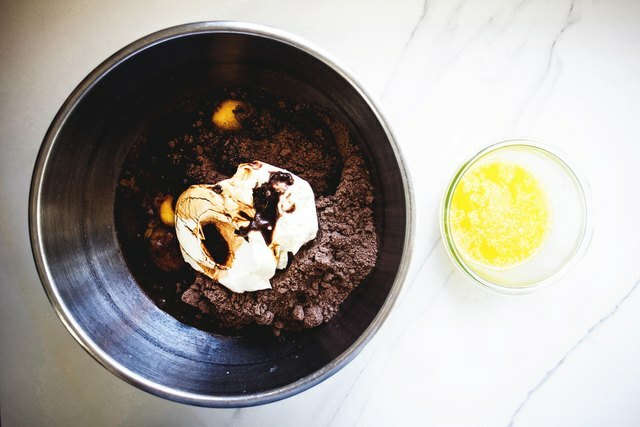 Most store-bought cake mixes call for 2 or 3 large eggs. You can make the cake more aerated and light by adding in additional eggs and egg whites into the batter. Add in two extra egg whites. Add in two extra egg yolks. 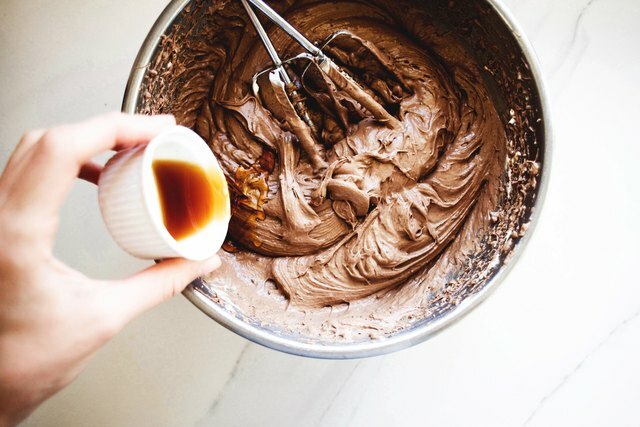 Most store-bought cake mixes call for vegetable oil to be used in the batter. You can make the cake more rich and dense by swapping the vegetable oil for the same amount of unsalted butter. 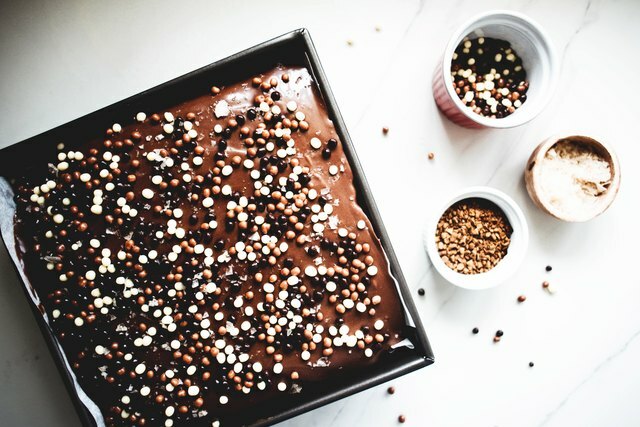 You can also bake the cakes in different shapes rather than a standard 10 inch (25 centimeter) cake pan: Try a 9-inch (23 centimeter) square pan; 3 x 6-inch (15 centimeter) round cake pans to make a small layer cake; or eight mini bundt or cake pans. 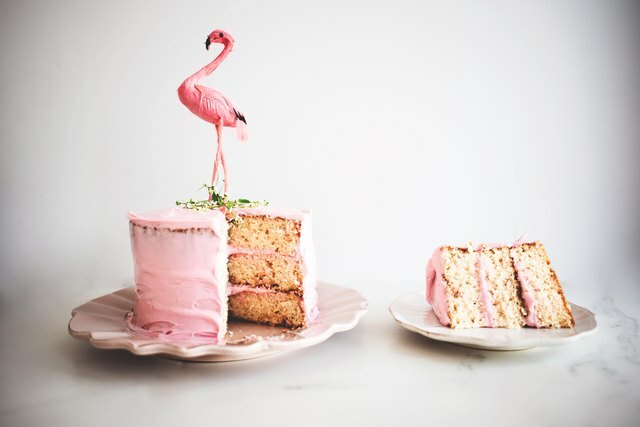 You can also bake the cake in a large sheet pan and then use a circle cookie cutter to stamp out cake shapes and make impressive mini layer cakes! 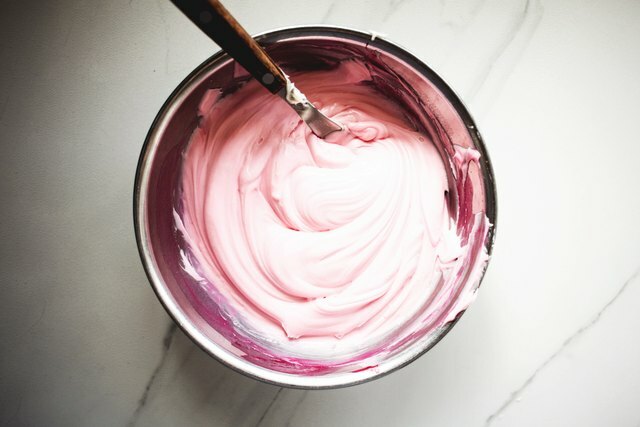 If you're using pre-packaged frosting, you can also improve the flavor of that too. Simply add in 1 teaspoon of a flavored extract of your choice. You can even add a few drops of food dye to color the frosting as well. You can also beat in ½ cup of your favorite spread into the pre-packaged frosting. Delicious options include Nutella, peanut butter, or cookie butter (like Speculoos). 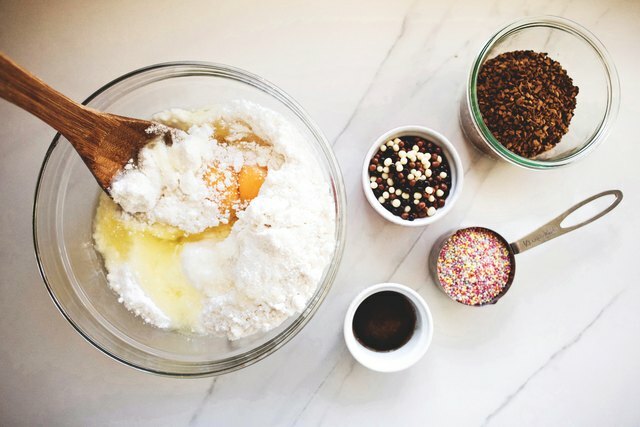 Decorate the cake in a different way than the store-bought packet mix suggests. 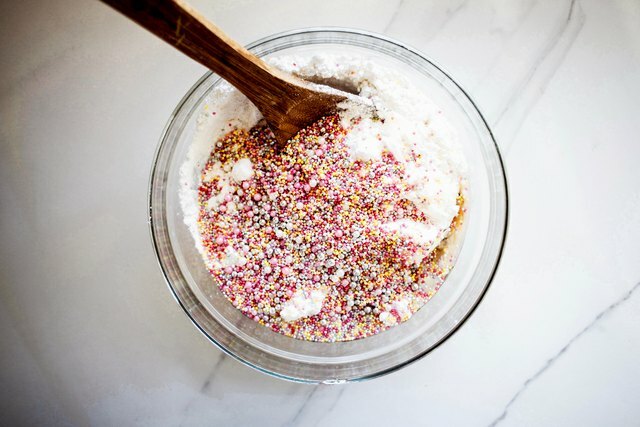 Generously cover the cake with a whole lot of funfetti, or coconut flakes. 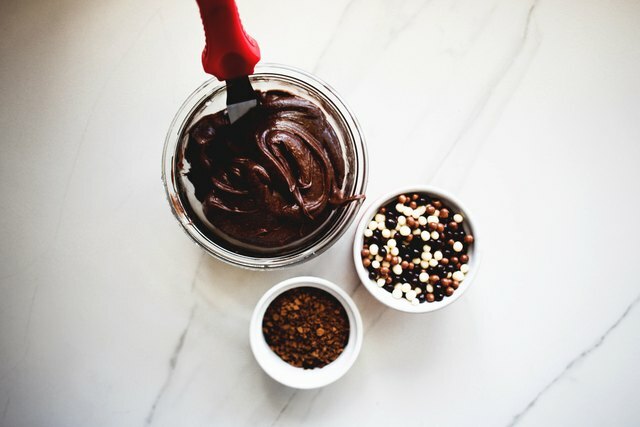 Sprinkle over a pinch of flaked sea salt for a salty sweet flavor or drizzle over some white or dark chocolate. 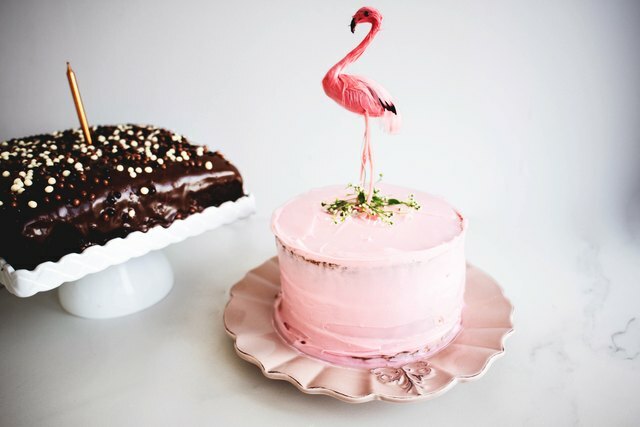 You can even adorn the cake with a cute cake-topper decoration. The options to customize are endless!